What does 44 L look like? What fits in a carry on bag? What the Heck Does 44L Look Like? What Fits in a Carry On? I don’t know what 44L even means? When you travel carry on only, you want to squeeze every last ounce (milliliter?) out of the interior of your backpack, but like most Americans, I’m easily confused by precise, easy to multiply units – like the liter (pronounced “lee-tur”). Is 44L big enough to pack a bike? What about 20 skateboards? How many ping pong balls can fit into 44 liters? I lay awake most nights. But fear not, Americans. I have boldly gone where few patriots dare tread – the metric system – to bring you back data you can use to pack for your next great adventure. Below you’ll find three tangible, easy-to-picture examples of what 44 liters actually looks like. Relax, the metric system can’t hurt you now. As a big reader and part-time Luddite, I travel with a lot of books. 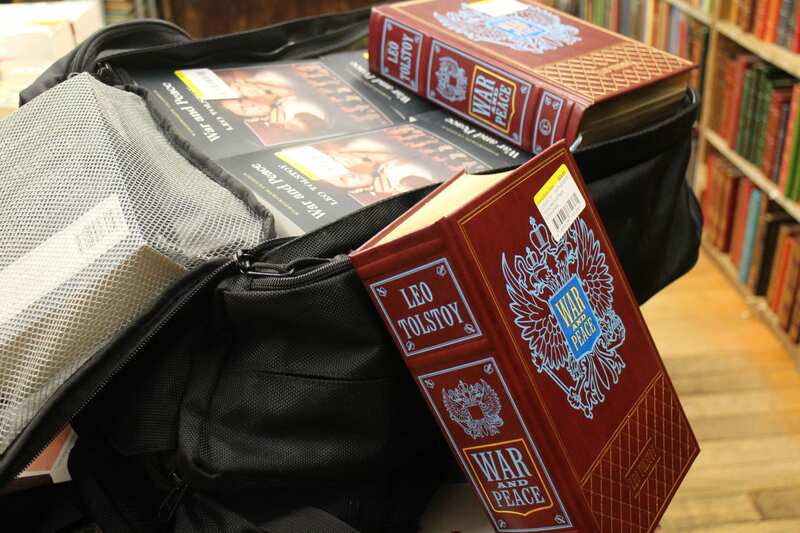 Sure, I pack some tween werewolf fan fiction for the flight (Team Jacob) but, like most people, I like to unwind on white sand beaches with the occasional leather-bound, soul-crushing Russian novel. 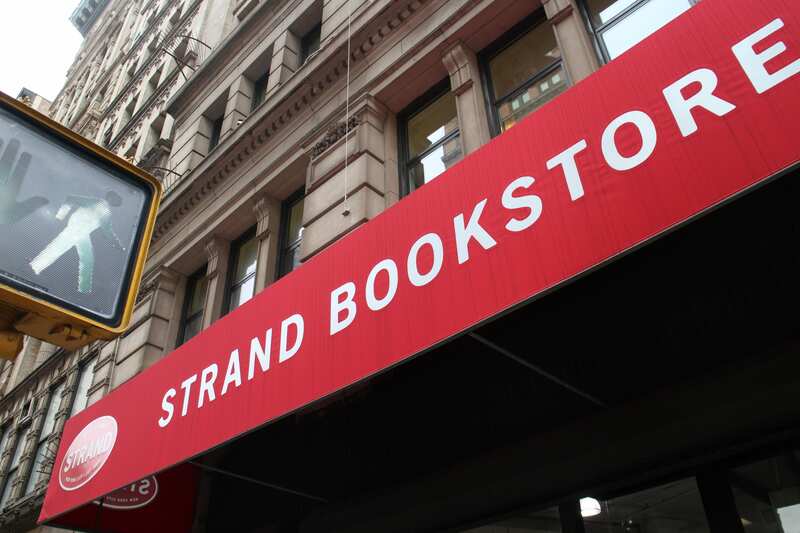 So, to uncover how much Dostoevsky my carry on could handle, the first stop on my 44L journey was New York City’s greatest bookstore – The Strand Bookstore at Union Square. Let me break that down a little further. 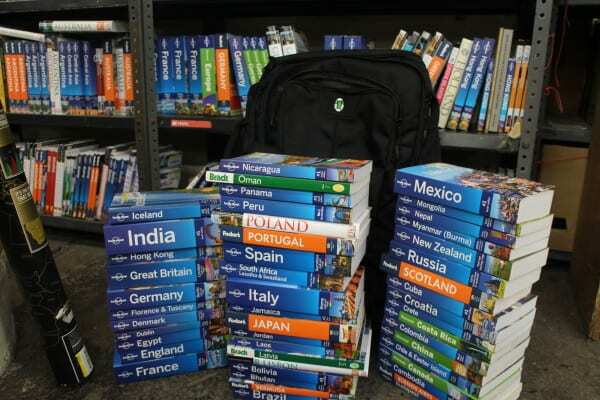 One 44L Tortuga carry on backpack can hold 24,480 pages of some of the most depressing literature ever written, 13,824 blank pages to sketch a lifetime on, and detailed offline information for one-fourth of the countries on the planet. You could probably even squeeze in a toothbrush. My next trip of discovery was Trader Joe’s in Brooklyn. 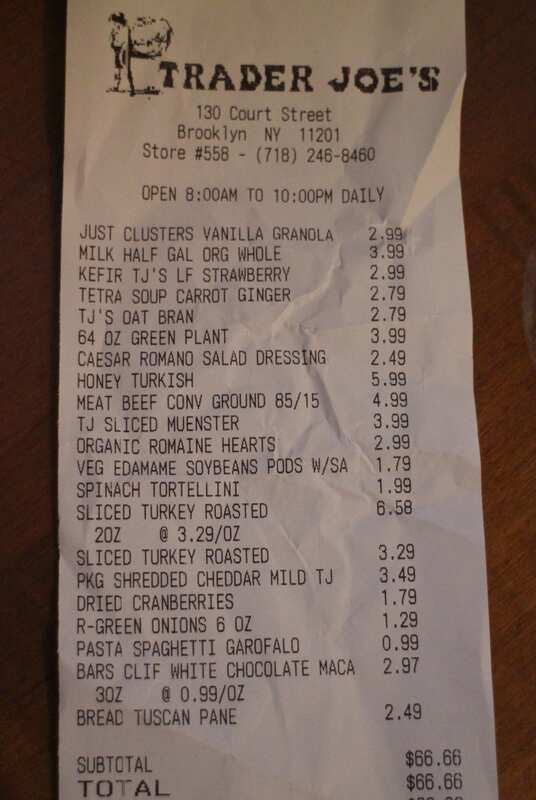 Trader Joe’s rules – the deals are excellent, the food delicious, and the “store brand” products have cooler names than the name brand garbage. Trader Joe’s, you had me at “Trader Jose’s” Corona-style beer. Unfortunately, Trader Joe’s doesn’t allow photography inside their stores, so I snapped a few pics of the fruits of my shopping excursion back at home. The results are still fantastic, though. 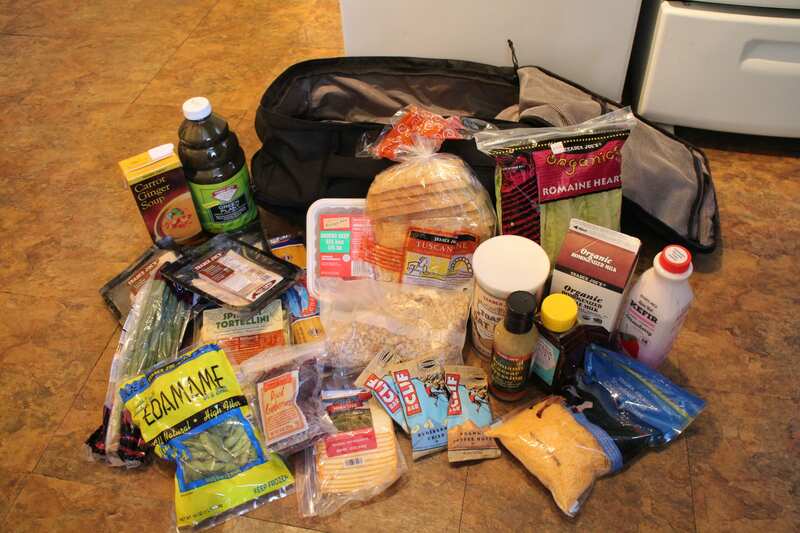 Looking at that list, I see two important things – I eat way better than I thought, and 44L is enough space for a grown man to pack enough food for a week. Easily. What’s more, I actually biked the three miles (each way) to and from Trader Joe’s, and the bag sat comfortably on my waist and shoulders the whole time – even when packed to the gills. While it’s great to picture your bag taking everything that the Norwegian fjords can dish out, it’s comforting to know it doubles as a killer bike messenger/grocery bag. 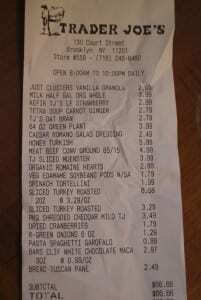 The total of my shopping trip was $66.66 (spooky) and without doing any math or research whatsoever, I’d say the caloric intake was in the neighborhood of 20,000 calories. I don’t know about you, but that just sounds impressive. My final stop on this – the first of what is hopefully many scientific explorations of “What 44L Really Looks Like” – is of course the liquor store. But first a little context. The idea for the title [Hitchhiker’s Guide to the Galaxy] first cropped up while I was lying drunk in a field in Innsbruck, Austria in 1971. Not particularly drunk, just the sort of drunk you get when you have a couple of stiff Gossers after not having eaten for two days straight on account of being a penniless hitchhiker. […] Night was beginning to fall on my field as it spun lazily underneath me. I was wondering where I could go that was cheaper than Innsbruck, revolved less, and didn’t do the sort of things to me that Innsbruck had done to me that afternoon. He then goes on to create while not the most “practical,” certainly one of the most inspirational guide books of all time. And like very few great ideas in history, Douglas Adams’s Hitchhiker’s Guide to the Galaxy began with booze. 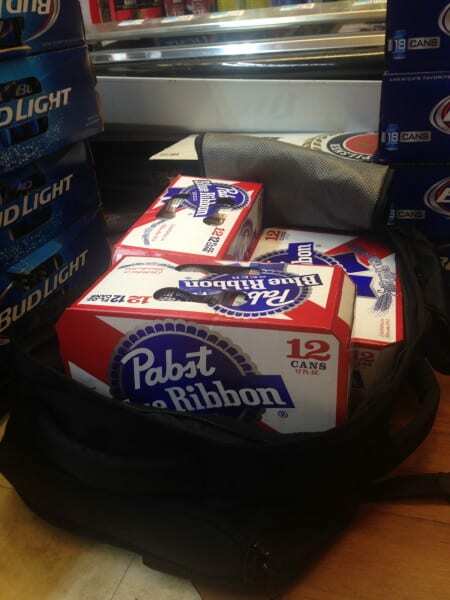 After weeks of research, I discovered that a 44L Tortuga backpack can carry 52 cans of PBR. That’s 624 fluid oz., or 4.875 gallons. Comfortably. According to a weirdly detailed ABV and caloric analysis of 202 beers by the raven, Americans consume roughly 33 gallons of beer every year. Which means that your 44L Tortuga backpack can hold over 1/7th of your entire year’s beer consumption. 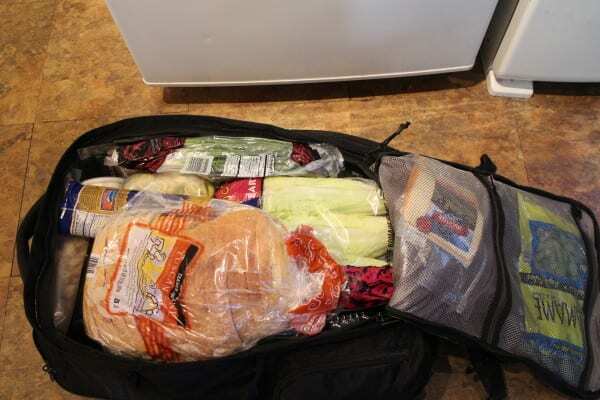 That is of course, if you can sneak it past the TSA. 44L is an amazing amount of space. It’s big enough to pack nearly anything you can think of, and certainly anything you’ll need on your next adventure, no matter how big. It’s easy to forget how much space we really need while we travel – until you pack 52 beers in your backpack. Then everything becomes clear. Keep calm, and travel carry on. 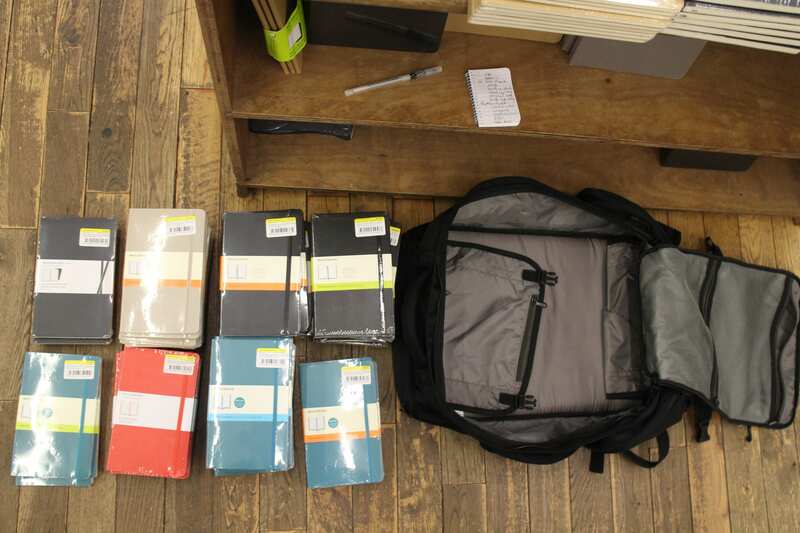 If you have any more great ideas for what fits in a 44L backpack, I’d love to hear all about it. Tweet at me.